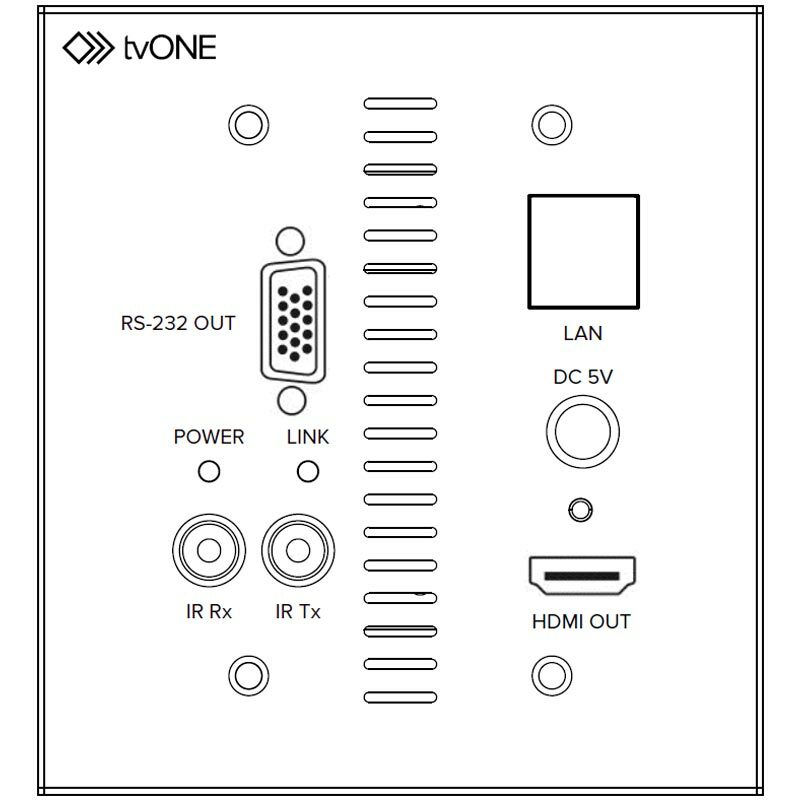 Receiver supports both PoH (Power over HDBaseT) and local power. The product group consists of a 1T-CT-653-USWP Transmitter coupled with a 1T-CT-654-USWP Receiver which employs HDMI v1.4 capability and HDBaseT 5Play™ technology to allow transmission of uncompressed, 1080p high definition television signals over a single Cat.5e or Cat.6 cable (this is the type cable typically employed for Ethernet computer networks). HDMI v1.4 signals - including 3D and 4K x 2K formats - are supported and the system will also allow DVI signal transmission with appropriate DVI to HDMI Cable adapters. In addition, embedded 7.1CH LPCM, Dolby TrueHD and DTS-HD Master Audio capability is standard. The 1T-CT-653-USWP/1T-CT-654-USWP system can achieve signal distribution distances of up to 100 meters (325 feet) for uncompressed 1080p signals without signal degradation. Control signals can be transmitted (Ethernet, Infrared or RS- 232) and PoH (Power Over HDBaseT) technology is employed to allow powering of the Receiver from the Transmitter, negating the need for a separate power supply for that unit. WARNING: Risk of fire or electric shock. This product must be installed by a professional electrician in accordance with the applicable federal, state and local laws, regulations and electrical codes.